As we transition between the golf course superintendent duties and my General Manager work, I thought I would throw in a video from the sold out Friday night Italian Wine Dinner. The event included some great wines from Bommarito wines with food preperation demonstrations from Chef Brian. To top it off, we had our very own Anthony Bommarito from Bommarito Wines pouring and working the room. What a treat to have the best Restauranteur ever in St. Louis as a member of our club and being at the dinner. Thanks to all of you who showed your support for me being named GM/Supt at Glen Echo CC. I put together a video (said I wanted to speak for a minute, edited to 14 minutes) that talks about where I came from and where I hope to go with this organization until I retire sometime down the road. Attached is the video. Come Alive, all I need to say! Using the course blog to mention what is happening to sun room roof. A number of repairs were made that have failed and the roof must be replaced. Over the last couple of days, the grounds team has built a temporary lean too structure and covering over the roof. Yes, it's covered in a blue tarp. This will hopefully keep the water away until the roof is replaced and the sun room can continue to be used for activities. We appreciate your patience while we wait for the repairs. Well, it never rains in July! (Inside joke) Yes it rained in July on a pretty regular basis worrying the heck out of this superintendent but kept most of our turf lush and green. Difficult for green ball roll out and firmness plus plant health but..... I'll leave that open ended statement for September to see how we've made it the next few weeks. Always the nervous ninny, yep, pretty much! Why report these weather records? It reminds all of us of how the weather effects our turf both in a positive way and negative. In most cases, the worst type of weather, heavy rain and or above average temperatures especially at night has the most severe impact on our greens which are the most important piece of 2.3 acres at Glen Echo. The warm season fairways and rough usually love the moisture and some temperature. The first stat in the records at the bottom is the most telling for us in July. When the temperatures do not get into the 60's at night, our greens suffer the most because the soil temperatures continue to climb and surfaces usually will then stay a little softer. Humidity of course allows less moisture to escape which then traps heat, which then helps to build up other negative effects in our soil. Gas build up, rising temperature, and bad microbes looking for a susceptible plant to attach itself to are the main issues. When you walk out in the morning and you feel that wall of humidity, imagine that battle that is going on for survival on our 1/8" bentgrass/poa surfaces! 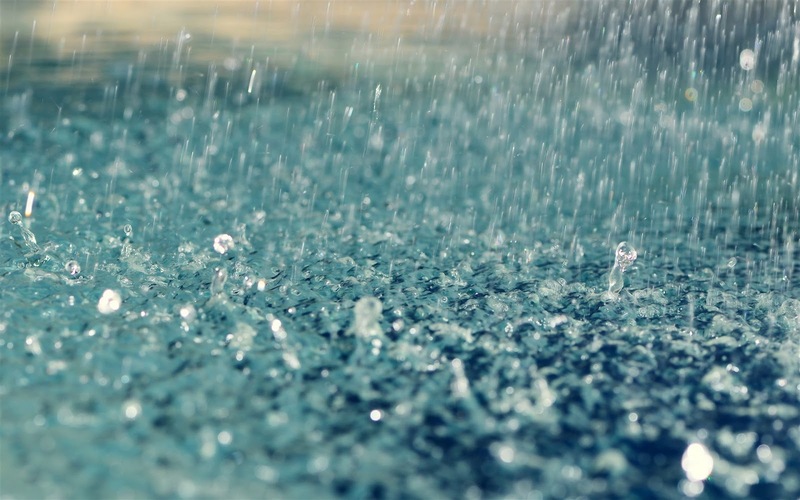 Glen Echo weather station reported 5.10" of rain. We missed some of the big rainfall storms that hit the airport that skirted by our property "So we got that going for us, which is nice"! 4th wettest Jul on record 8.37"
The last of the videos regarding our Olympic history. Working on some DJI Phanton 3 videos but need a lot of work, fine tuneing and some time to fly which is very short right now. Hope you enjoy the following video of our history and our future! Click on the highlighted GLEN ECHO to read an interesting article in the Golf Course Superintendent's Association of America(which I'm a member) trade magazine. Video I quickly(relatively speaking a few hours) put together for Drew's victory. Sorry staff, not much action shots. We were all in too much action. A lot of beauty shots though of your work!